Whether we realize it or not, we are always seeking truth. That is what our brains are wired to do. Every time something happens the same way or we hear the same sound or we see the same image, the neural pathways are reinforced to connect that event to our understanding of reality. We gain understanding through everything that we do, everything we sense, and in some way or another, even everything that we imagine. We are connecting the dots, constantly seeking a fuller understanding of the truth about those things that affect us. 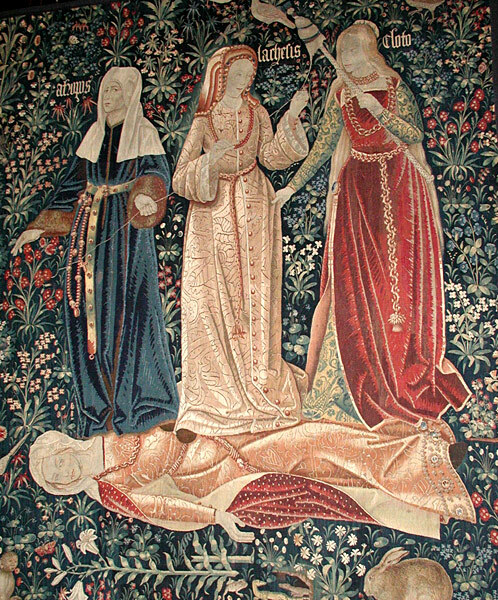 The Triumph of Death, or The 3 Fates. Flemish tapestry (probably Brussels, ca. 1510-1520). The learning of truth is a synergistic process. As our understanding grows to incorporate new principles, it reinforces our understanding of principles we have already learned and moves us closer to new truths. I like to use the analogy of a tapestry being woven by hand, thread by thread – not necessarily in order. Each principle we learn is a thread placed and understood by its relation to those intersecting and nearby. As more and more threads are placed, more and more of the pattern of the overall tapestry is revealed. The portions that appear most complete may not be adjacent to each other, and we may have few connecting threads between them. However, as long as we are continuously adding new threads and fixing the patterns more properly and completely into place, we are making progress. We may occasionally have to pull out a few threads and re-arrange the tapestry slightly, but doing so helps resolve the overall image more clearly, and allows us to continue to progress. Refusing to pull threads may result in a complete, though senseless tapestry. Properly attended, you will not live long enough to complete your tapestry, but you will still find much beauty in it. As the nature of Truth prevents any individual from ever completing their tapestry, it can be very difficult to judge truths claimed by others – they may have worked on completely different parts of their tapestry – approaching truth from a different set of core beliefs, using a different set of tools and methodologies for finding truth. Although we are all working on our own copy of the same tapestry, our works-in-progress, as they will always be, will always look different from everyone else’s. No two people have the same understanding of truth. Depending on our point of view, this can be troubling or exciting. Truth is what is, what was and what will be. There is only one truth. It is, however, infinitely divisible. It is ignorant to think that any one person could comprehend all truth, and equally ignorant to think that there could be anyone who does not understand any truth. We all have a unique understanding of truth formed by our journey through this life. By communicating with each other we can attempt to share our understanding. When we have had similar experiences with another person, we will find that there is much understanding that we hold in common – reinforcing those truths. When we find someone who has had significantly different experiences than we have had, the opportunity to learn from them is greater, as their understanding may be much different than ours, and may require us to make several other connections to truly understand their perspective. Unfortunately, when we meet someone who has a different understanding of truth than we do, the natural tendency is to attempt to convince them to see things our way. Most of the time this difference is caused by religion and culture (the scientific approach leaves comparatively little to debate), often stemming from different traditional and cultural interpretations of truths handed down by trusted authorities. Though a person might assume that a debate is about a single differing point of understanding of truth, such a debate is likely to be less about the point of truth itself but more about how that understanding was derived. In other words, to criticize a doctrinal point can very easily be taken as an attack against a religious figure or against an entire culture. Before we can learn from someone, we have to grant them a certain amount of respect that extends to both their beliefs and experience as well as to the person. If we focus on the goal of understanding and learning as much as we can, I believe this search for truth can be one of the most powerful unifying forces available to us. We can learn a great deal from talking to someone with whom we disagree. If we are focused on learning and not teaching, others will be more likely to be interested in learning about us. This focus on understanding can bring differing views together peaceably. It is when we decide that there is nothing another individual can teach us that we start down the road to animosity. Usually, two reasonable people who desire to learn from each other and find truth can reach a joint understanding of the truth they are discussing. Unfortunately, there are times when a consensus cannot be reached. It is the nature of truth itself that is partly to blame. Because we cannot understand it perfectly, cannot understand all the connections or relevant information, we are not in a position to learn everything. Others with different experiences may be able to understand something that we never will. This is not because we are ignorant or defective, but merely illustrates the need for many members in a society. Some have particular talents or preferences that lead them to different truths than those around them. We can’t expect to learn everything that others understand, but we can expect to learn something from anyone. However, two people from completely different backgrounds will likely not have the frame of reference necessary to come to agreement on everything, no matter how long they talk. Additionally, because of the nature of belief – filling in when there is an absence of knowledge – there are a great many errant beliefs out there. They exist because they help people make sense of things or otherwise help them in some way. They are not made up on a whim. They serve a vital purpose in helping people live normal lives. Perhaps it is because of their critical role in our lives that beliefs are difficult to change. Many people don’t even recognize the difference between their beliefs and their knowledge. One main difference is that you can believe something that is not true. You cannot know something that is not true. By definition, truth excludes what is not true. If two different people or groups have understandings of truth that are mutually exclusive and cannot be reconciled, they must consider the other to be wrong. In the end, one group will be right, and the other wrong, or both can be wrong. Both cannot be correct. One would hope that through dialogue and respect that all such differences could be reconciled, bringing all involved to a deeper understanding of truth. Unfortunately, the powers of culture, pride and loyalty seem to scuttle such dialogue more often than not. The more elevated one’s position in a culture, religion or field of study, the more difficult it is to admit a false belief. As a result, those with the greatest power to affect change are often the ones for whom change is most difficult. However, when an individual in such a position is able to focus on the truth and recognize its worth to those he leads, the benefits usually outweigh the negative consequences, though often at a high personal cost to that leader. Additionally, there are often people in positions of little power who have discovered truths, and who find the culture they are in to be hostile to those truths. It takes a similar level of courage and conviction to hold fast to those truths, despite the persecution they receive. The more revolutionary the truth discovered, the more likely the individual will be remembered and respected, if posthumously, for their work. Galileo and Martin Luther are two good examples. Suffice it to say, reconciling new truths that are contrary to deeply held beliefs will always be a difficult process, regardless of the source of the truth. Perhaps part of the difficulty comes from the fact that it very easy to believe something, but to truly understand something takes much more effort and active learning. It is almost always easiest to believe the things that those around you believe. Seeking to turn that belief into knowledge and a better understanding of truth is a difficult process. There is great value in understanding. It is the essence of progress and power. It changes our relationship with truth. Instead of a being a passive observer or even victim of truth, with understanding we become masters of truth and can turn it into power, influence and ability. It is worth the effort. Because this is General Conference weekend and I can see everything “on-demand” as it were, I have made the choice to treat this as a Sunday when I can support my wife in her religious choices. So, twice a year, we all go to the Unitarian Universalist church she attends, the First Church in Salem. I like the congregation a lot. I particularly like the pastor, Rev. Jeffrey Barz-Snell. So, I had been looking forward to attending with her — to the extent that I started thinking about why that was, and formulated the seed for this post. In short, they believe in doing their best to live according to the spiritual truth they know. This can be applied to almost anyone, which is why I believe it’s important to support my wife, and anyone else for that matter, in whatever religion they choose. When we are true to the knowledge we have, God will give us more, guiding us ever closer to him. 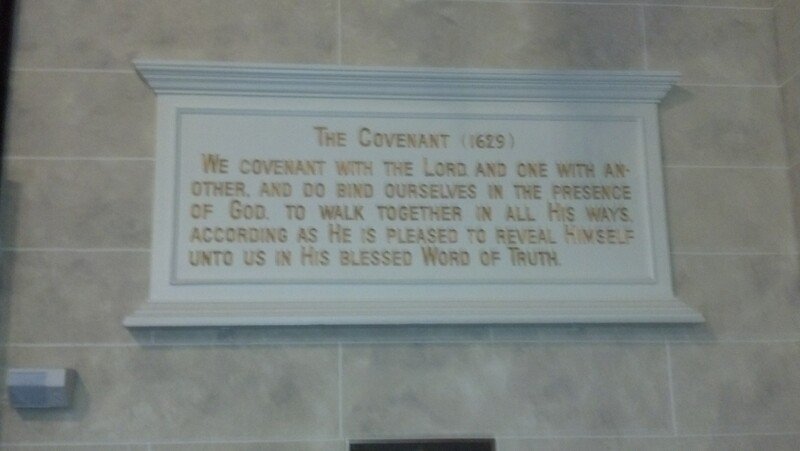 This is the “line upon line” principle, taught in Isaiah 28 and reiterated several times in LDS scriptures. We are all at different levels of spirituality, but this principle is the same for all of us. Hold on to the truth you have. Live it, use it, then ask for more. That is the way we ALL progress to be closer to Him. I am grateful for all of the good people in the world that do their best to follow the truth they understand. We should all spend more time asking, seeking and knocking. I’ll be spending the remainder of this week watching the General Conference sessions I missed.